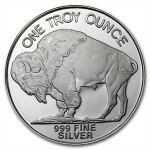 The 1 oz Silver Buffalo Round a way to invest in silver bullion. The 1 oz Silver Buffalo Rounds are an easy and affordable way to invest in silver bullion. 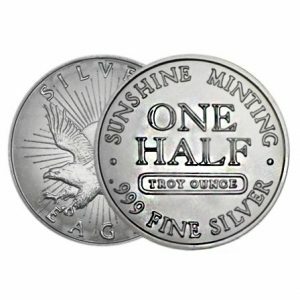 Unlike the well-known silver bullion coins which are produced by governments, these rounds are struck at privately owned mints. The 1 oz. Buffalo Silver Round is minted with .999 fine silver and depicts two of the legendary icons of America’s past. Each image represents both the beauty and the tragedy of America’s expansionist past; paying homage to the struggles of the country and the issues it has fought to overcome. The Native American face featured on the obverse side is a visual composition of three different tribal chiefs: Iron Tail (Lakota), Two Moons (Cheyenne), and John Big Tree (Seneca). The reverse side depicts an American buffalo, which is a visual representation of the bison named Black Diamond.